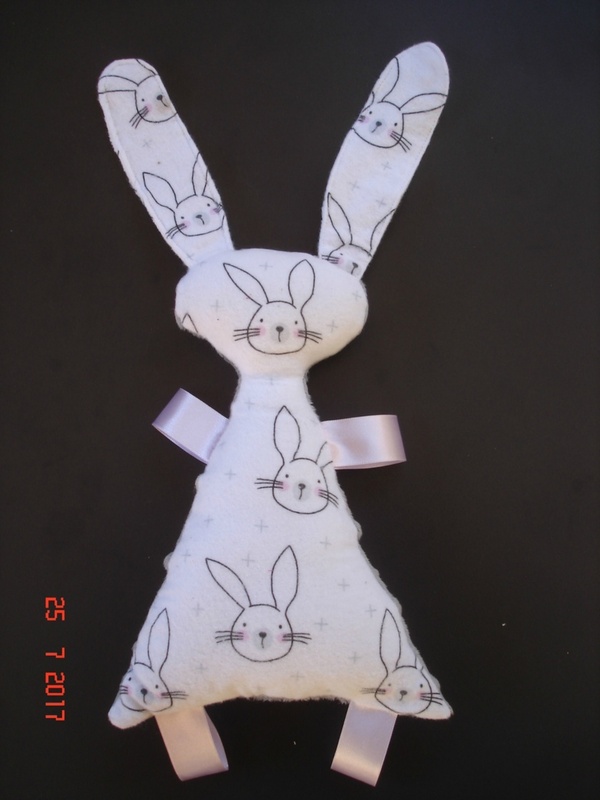 This lovely hand made Taggie Rabbit is a sensory delight for any Baby with "chew-able ears and smooth touchable ribbons for it's arms & legs. Add to that the Micro Dot Minky that is soft & bumpy & irresistible to run your hands over & this will become a firm favorite. Please note I have only made one like this. 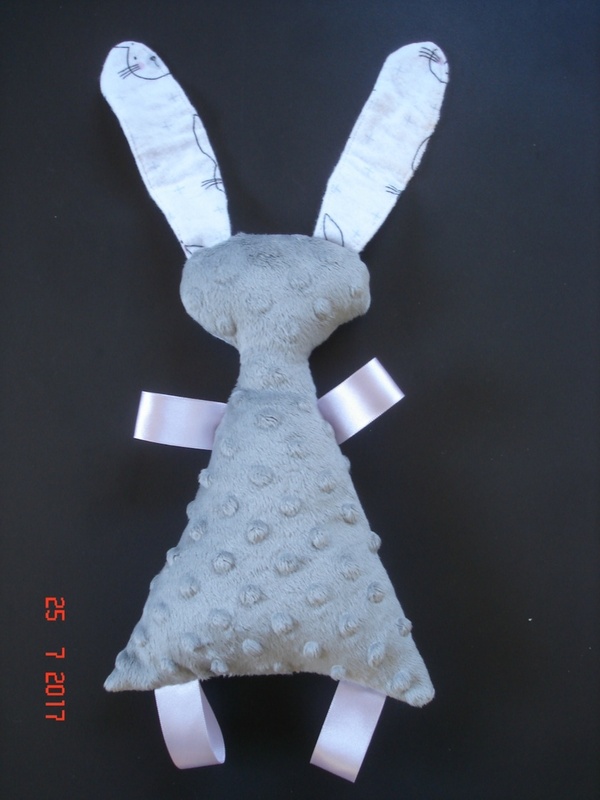 Measures 24 cm long excluding the ears & 17 cm at the widest across the bottom. All tags & ears are triple sewn. 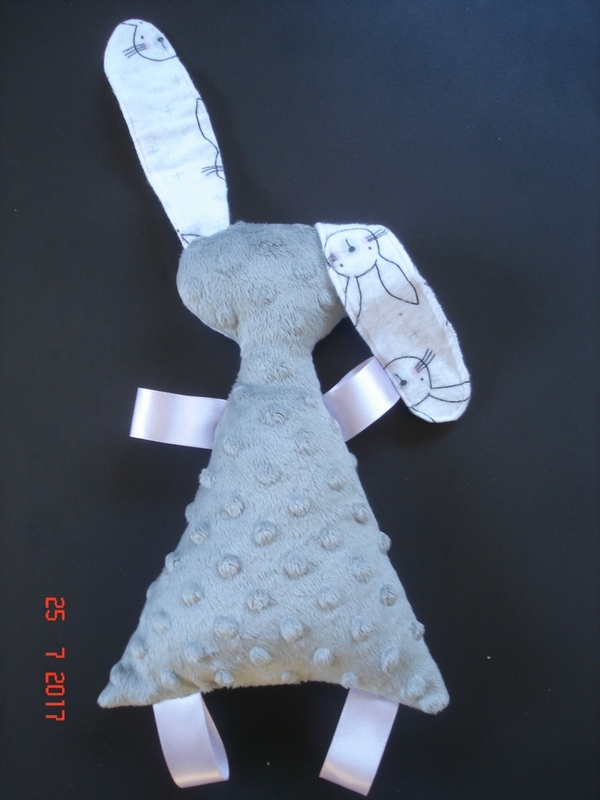 Lightly stuffed with Polyester fiber to give shape, but is super soft. Hand wash. Do not tumble dry. Do not iron the tags. Makes a great Baby Shower gift along with my Belt Pads. 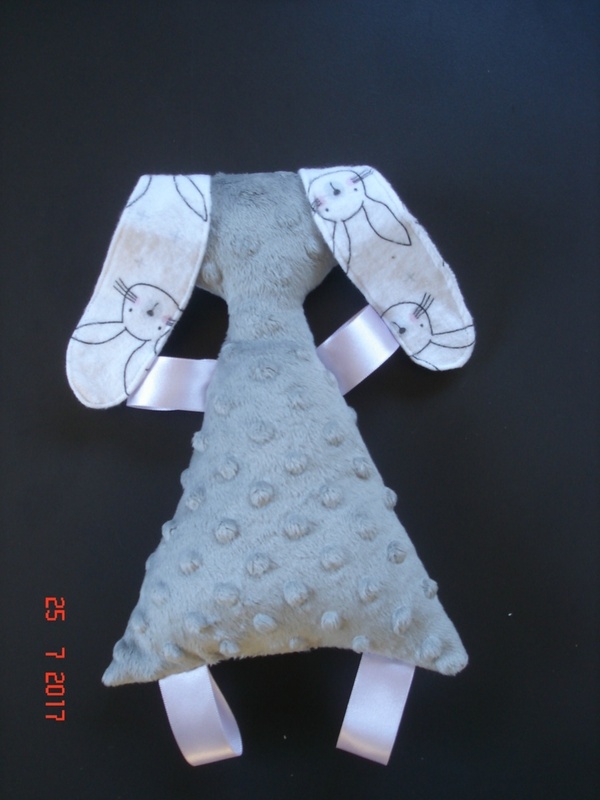 The Rabbit patterned side is cotton Flannelette - Keep away form heat/flame. Always supervise a Baby or young child with toys. Never put a Baby or young child to sleep with a toy.